From exquisite colorful spools of natural fiber cashmeres and luxurious silks, to opalescent metallics, Mihaela blends and customizes yarn based on your needs. Mihaela orders yarns from all over the world. 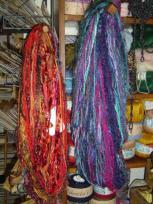 She has traveled extensively to bring her clients the most unique textured yarns from around the globe. 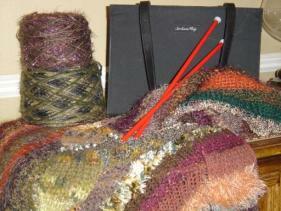 The ever-changing inventory of yarns in her studio keeps the fashion trends in yarn current. Many people can blend yarn, but it is the combination of yarns by texture, color, and style which makes each of Mihaela's combinations distinctive. 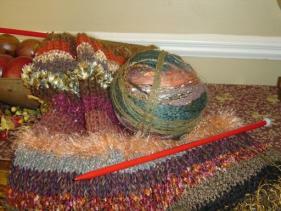 She understands how colors and textures interact and work together layering a combination of fibers, colors, and textures into one giant ball of yarn. Each creation is unique unto itself and cannot be duplicated. Her signature yarn becomes your signature creation!